The Alps were on our bucketlist, always. We wanted to go for a hike over the Alps in the European summer. 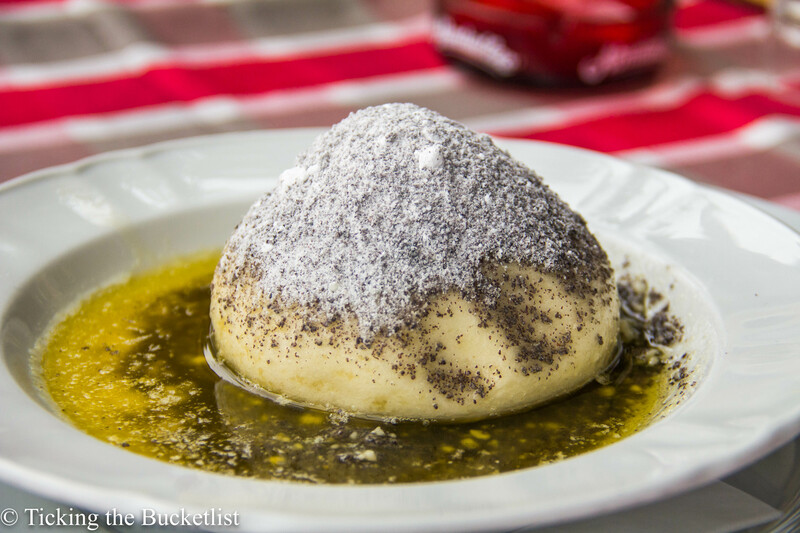 We have finally ticked that item during our Austrian sojourn…ten awesome days on the road in Austria. I still want to ski in the Alps during winters, and hence, will have to plan another trip in the future. Any trip to a Western European is on the expensive side. Everything costs quite a bit…money, hotels, activities …really, everything! Regardless of the costs, we still return to Europe often. The continent has put a spell over us, and we want to explore much more of it! For those who are planning a a vacation in Austria and need to get a sense of the budget for the same, here is what our expense sheet looks like…. In March 2016, we were planning a trip to Algarve (Portugal) and were searching for flight tickets. While we were continued to look for the cheapest option, Google did its job well and popped the advertisement of the new Air India flight from India to Austria. As it was an introductory flight, it was being sold at a considerable discount until August 2016. Portugal could wait…Austria suddenly went up the charts and we decided to fly to Vienna. Typically, a single economy ticket form Mumbai to the popular cities in Europe (Paris/Munich/Vienna/Amsterdam) costs at least EUR 550. Lucky us, we got two tickets (economy) for Mumbai-Vienna-Mumbai for ~EUR 800….a steal, right? The only glitch was that it wasn’t a direct flight from Mumbai. It had a 2 hour layover at Delhi, which we did not mind at this cost! Our initial plan was to spend three days in each of the following cities – Vienna, Prague and Budapest. It was easy to travel from one place to another using the Eurail network. However, Ankur wasn’t too happy with the itinerary. It had too many castles and churches for his liking. Incidentally, a friend at work showed us a picture of Hallstatt lake, which was stunning. 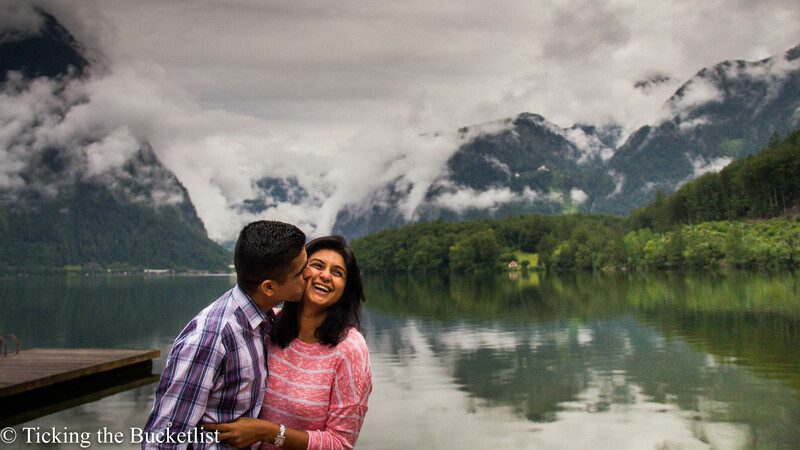 We were in love with Hallstatt! We just had to include it in our itinerary. Click here to read our mini guide to Hallstatt. 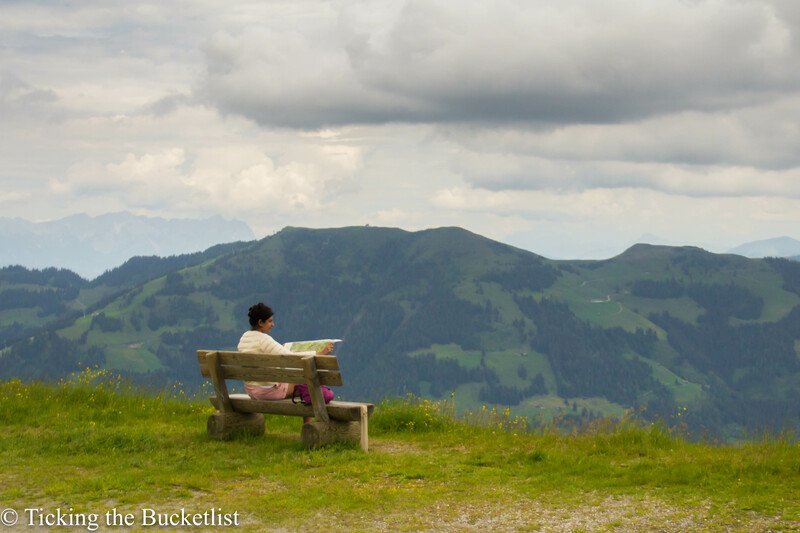 And then, we chanced upon pictures of Alpbach, the most beautiful flower town in Europe. Well, Alpbach too made it’s way into our itinerary. Finally, we decided to do a road trip through Austria; Prague and Budapest for the next time! We booked a car for 7 days and used it to travel from one little town to the other. We booked in advance using Sixt and took the insurance plan that covered everything and allowed two drivers. This cost us ~EUR 500 as the car rental. Fuel cost for the trip was ~EUR 75. Parking fee at various locations totalled to about ~EUR 25. All tolls were included, except that for Gross Glockner High Alpine Road, which cost EUR 35 extra. We returned the car the day we reached Vienna and used public transport in the city. We didn’t spend any extra amount on this as it was amongst the privileges of having a 72 hour Vienna Card. In Salzburg, we took the 24 hour Salzburg Card that included all city attractions and public transport. Click here to read more about our day in Salzburg. We rented bicycles and cycled in Danube valley, through the vineyards. This was one of the best experiences that we had during the entire trip and didn’t cost us much either. Renting a bicycle cost us EUR 9 per cycle for 24 hours, totalling to EUR 18 for both of us. We did at least two activities on each day..on most days. These ranged from visiting museums and palaces, wine tasting, hiking, zip lining and strudel making. The activities ranged from EUR 10 – EUR 30 and on an average, cost us EUR 25 per person per day. The average cost is a little less than expected as few of the attractions were included in the city/tourist cards provided by the regional tourist offices. Alpbach offered us a free tourist card, which included all public transport, ski lifts and entrance to lakes and other public parks. This surely helped us bring our average down. This was a budget trip. We did not stay in any expensive places on any of the days. That being said, our room at Hallstatt cost us ~EUR 150 for one night, which was the most expensive night in Austria. All other places ranged between EUR 60 – 80 per night, including breakfast. Through the trip, we stayed in hotels, B&Bs and hostels. Accommodation at each town was comfortable and value for money. We had a balcony with blooming geraniums in Alpbach, an apartment with apricot and apple trees in Wachau and a rocking hostel at Vienna! Austria is famous for schintzel, which is pork and does not fit into our vegetarian diet. So, Ankur and I stuck to potatoes, bread, pasta, pizza and baked vegetables. Every restaurant had a couple of vegetarian mains on the menu, priced at about ~EUR 15. A glass of wine cost ~ EUR 2.5. We had white wine along with most of our meals. We shuffled between having traditional dessert/pastries (~EUR 5) and ice cream (~EUR 1.5) to end our meal. We did cook a few meals at the hostel/in our apartment. Sometimes, we took a picnic along. Grocery for four meals, for the two of us cost ~EUR 30 and we had plenty of it left after cooking our meals. Well, that’s how hostel kitchens run…and we ride the wagon with a smile…take some and leave some! I am sure I am missing out a few details. I will start noting down details in a little book to make sure the budget posts are more accurate. I am allocating EUR 250 to miscellaneous costs, which include visa costs, buying snacks and juices, tips to buskers and stuff that I just cannot recollect! Your costs will depend on other activities that you do. We spent a relaxing evening at Felsentherme (thermal pool) at Bad Gastein and paid for it. Another day, we went for a hike in the Alps, carried a picnic lunch and didn’t spend much. 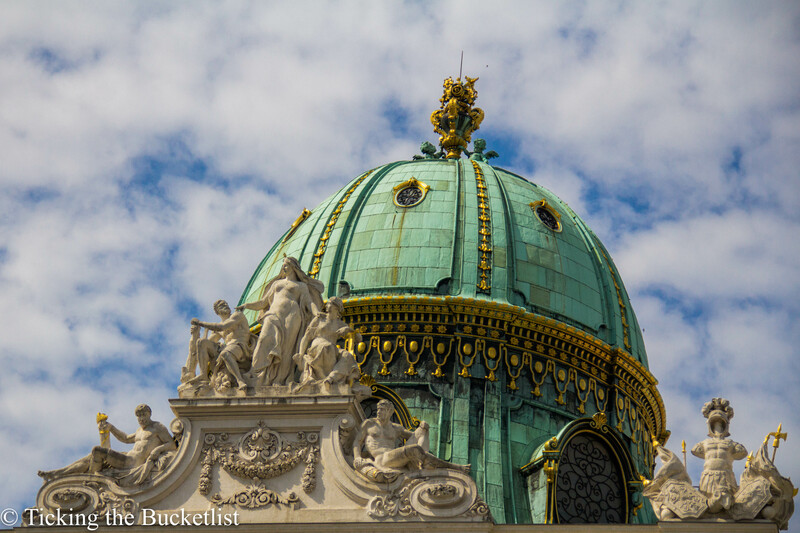 We went to only three palaces/museums in Vienna …there are many many more to see! So, decide your budget and then plan your trip. There are plenty things to do in Austria which cost nothing…walking through the romantic streets of Salzburg, hiking through pine forests, strolling in lush green vineyards…what would you like to do? Thanks for this! Did you buy health insurance? In that case, how much did it cost? Lovely post Sonia, had great fun reading it. Thanks for all the tips maybe someday will use them. Keep writing. Thanks Vinay! Lots coming from Austria… Followed by Goa! Please explain the procedure for obtaining schengen visa and the cost as well. The application will be in line with your port of access and staying location. Suggest you connect with VFS if you are in India. They have the process laid out well. Hi Sonia, great series of posts on the road trip. Thoroughly enjoyed reading all. We are planning to drive through austria in early may. We are from Mumbai too and aren’t really used to driving on the opposite side of the road. I wanted to know how easy it was to drive there and especially the glossglockner. We have driven on the opposite side plenty of times and dont think that its that big an issue. Most intercity roads are good. However, in Austria, there are the mountains that might make it a little difficult for you. 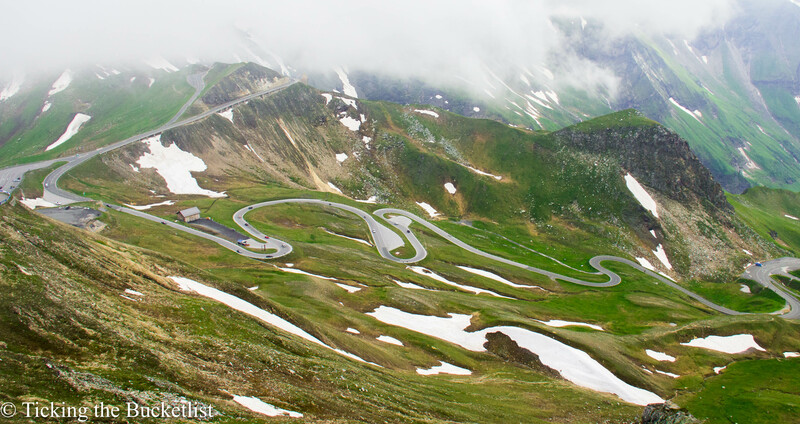 While most parts would be easy, I would suggest that if you are not confident, you should avoid the Gross Glockner Pass and other roads on high altitudes. If its a popular tourist town, roads will be wide and easy to drive on. Hi Sonia, could you please advise if GPS is required for navigation across Austria? How did you guys navigate across the country. Also advise how to obtain Vienna card or Salzburg card? Was it procured prior to journey or on arrival? Any specific locations where they are available?